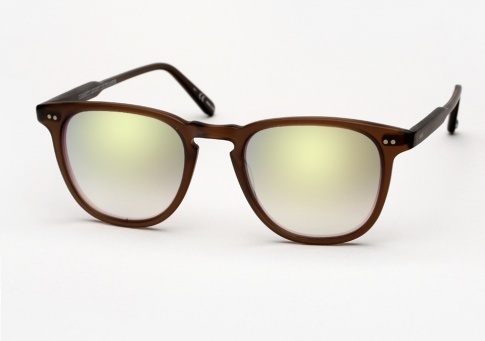 Garrett Leight Brooks - Matte Espresso w/ Gold Layered Mirror Need Help? It is offered here in "Matte Espresso" paired with "Gold Layered Mirrored" lenses. A technologically advanced method was employed for the lenses, whereby a mirror coating is sandwiched between layers of CR-39, protecting the mirror coating from scratches and degradation whilst also creating a unique softer effect.